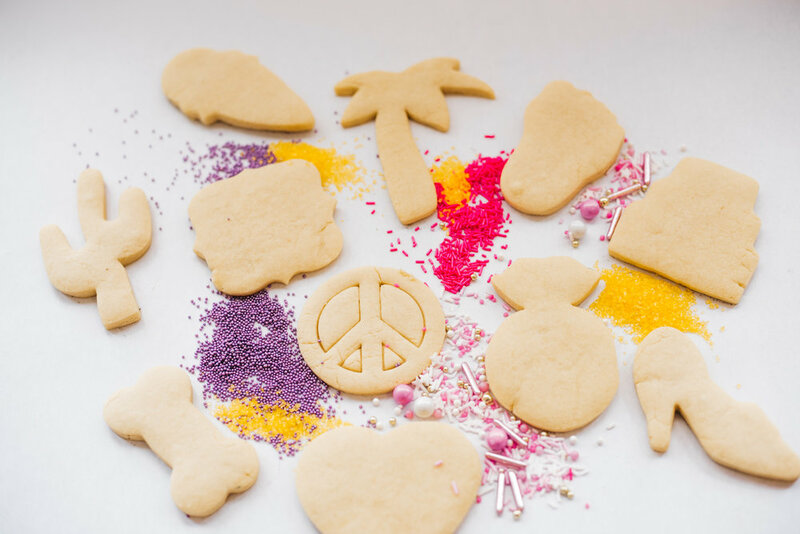 Our famous custom almond flavored sugar cookies are soft and flavorful. They are custom decorated to any special event and have the option of being wrapped or delivered in a bakery box. Contact me using the form provided to receive a quote. 4 ounce thick, gooey, and rich chocolate chip cookies are delicious any time of the day for any event. 4 ounce thick and sweet cookies was created by Mama Val wishing to combine the yummiest ingredients; coconut, white and dark chocolate, almond roca, walnuts. 4 ounces of sweet, soft, and crunchy peanut butter cookies that melt in your mouth. 4 ounces of gooey vanilla goodness. Sprinkled with love for birthdays and special occasions. For large events such as weddings, bridal showers, birthdays, and corporate events, we would suggest the assorted cookie trays. The cookie trays consist of 4 dozen assorted cookies (almond raspberry filled linzer cookies, lemon drop cookies, chocolate drizzle sugar cookies, and sprinkled cinnamon sugar). You may request any custom shape for the cookies. Request our assorted cookie boxes that consist of a half dozen of each Traditional Chocolate Chip, Mama Val’s Everything but the Kitchen Sink, PB’s, and Sprinkle Cookies. These cookies are packaged in a clear window box and delivered to love ones.